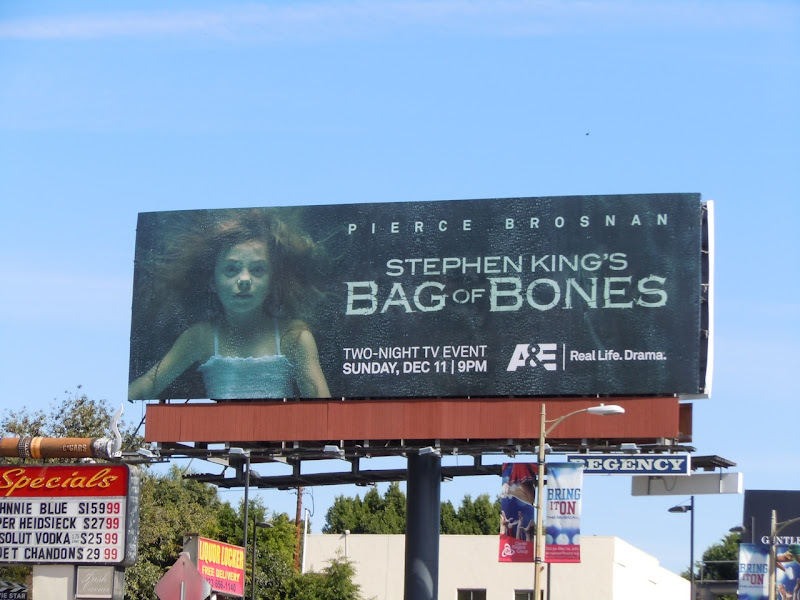 These creepy watery visuals for Stephen King's Bag of Bones mini-series are certainly eye-catching and intriguing billboards. 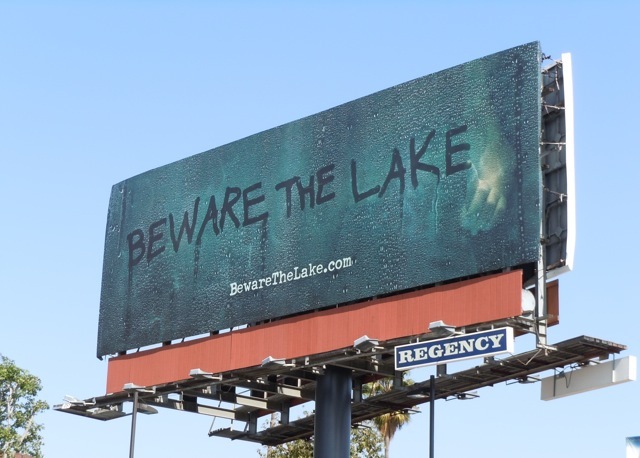 The suitably eerie billboards are nothing less than what you'd want to get fans and passersby excited for this TV adaptation from the master of horror and suspense. 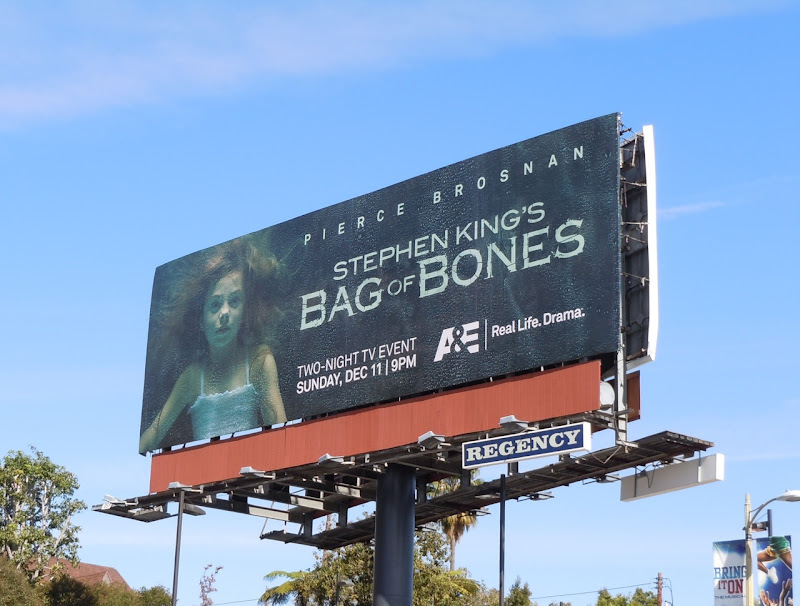 A&E are pretty good at doing this tease and reveal campaign and you can also check out their billboards for Breakout Kings and The Glades. 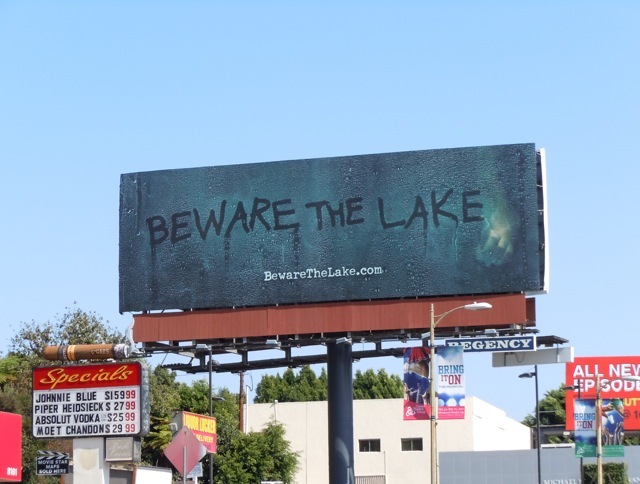 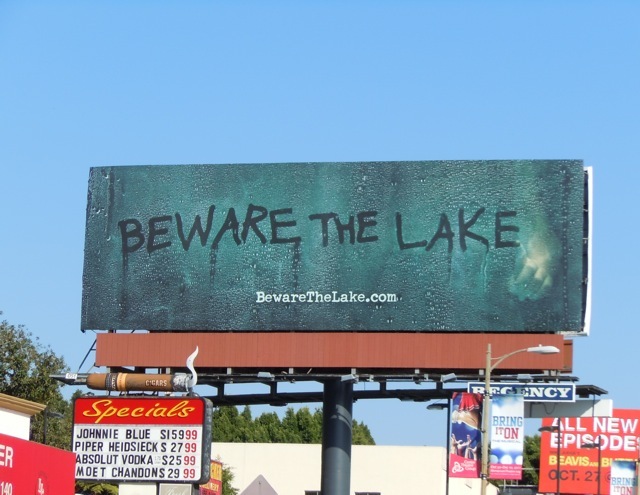 The cool Beware The Lake teaser billboard was snapped along Sunset Boulevard on October 26, and the follow-up Bag of Bones version on November 9. 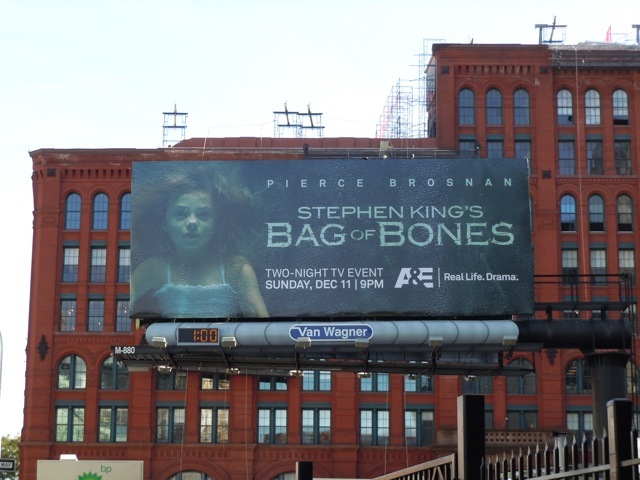 Daily Billboard also spied another Bag of Bones underwater girl billboard in New York, along East Houston and Crosby on November 7, 2011.